Best The Woodlands NeighborhoodsSee the best places to live in the Woodlands area for strong property values, amenities, schools, and great access to retail, dining, and entertainment. 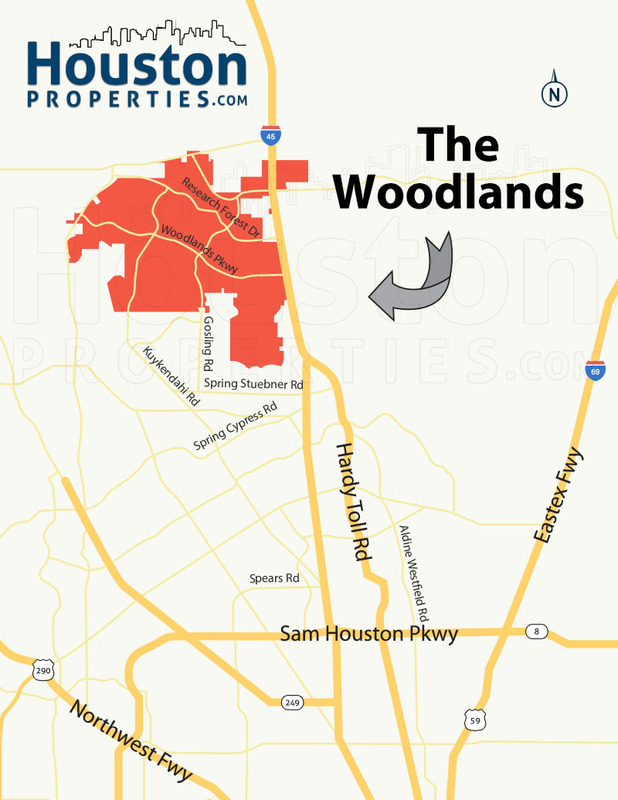 The Woodlands is a 28,000 acre community divided into 8 “villages”. 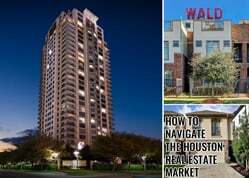 One of Houston’s Best Suburbs, The Woodlands ranked highly in “Best Places To Live” list due to its strong property values, neighborhood amenities, golf courses, top ranked schools, and access to commercial centers. All of The Woodland’s villages have their own village association elected by residents of each village. Those looking for a nature-centric alternative to Houston’s more urban environments will find big-city comforts amidst a lush and green space. True to its name, The Woodlands features 7,665 acres of open green space. Residents enjoy access to forested nature preserves, 146 neighborhood parks, around 214 miles of winding hiking trails, and world-class culinary and entertainment venues. Facilities are available for kayaking, tennis, and outdoor activities. 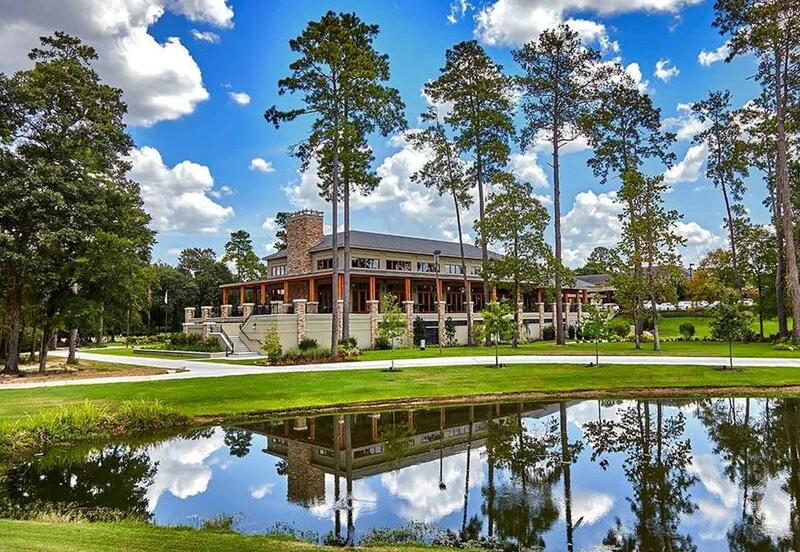 Home to several golf course communities, The Woodlands is the only community in the US with seven world-class golf courses (See Houston’s Best Golf Course Communities). The Woodlands is home to a number of large companies including Huntsman, Hewitt Associates, Maersk Sealand, Chevron Phillips, Anadarko, Lexion Pharmaceuticals, and Woodforest National bank. Two of Houston’s main job centers, Downtown Houston (30mins) and the Energy Corridor (45mins) are also just a short drive away. Some of Houston’s highest-rated public and private schools are located in The Woodlands. School districts that serve The Woodlands include Conroe ISD, Magnolia ISD, and Tomball ISD. 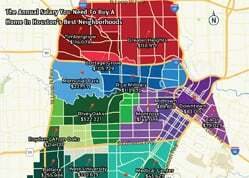 You can see our rankings of the Best The Woodlands Neighborhoods below, along with our methodology and sources at the bottom of this article. 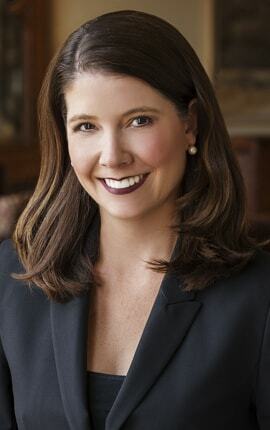 For personalized The Woodlands homes for sale and neighborhood recommendations based on your budget, school preferences and commute, please contact Paige Martin, lead of the Houston Properties Team and ranked as the #1 Keller Williams Realtor in the State of Texas. 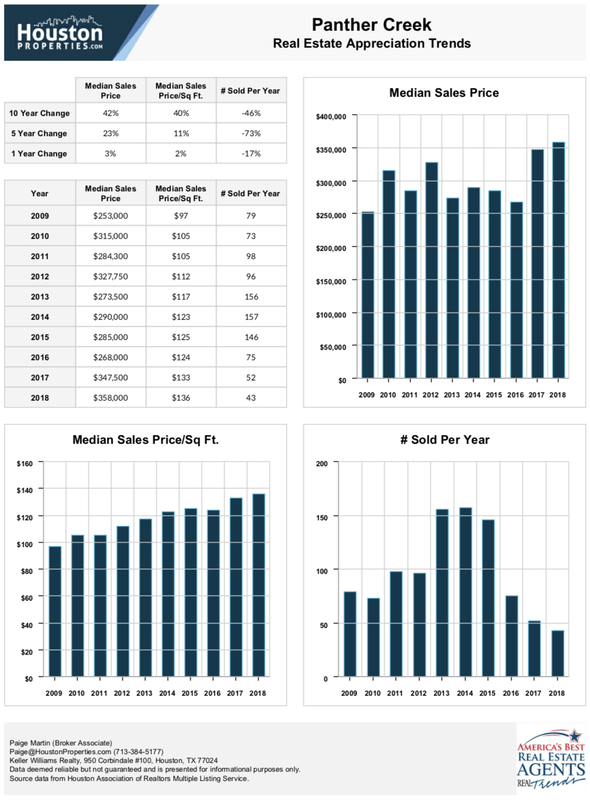 If you’re considering selling your The Woodlands home, get a free The Woodlands home valuation and learn why our listing sell for 7.2% more and 43.7% faster than average. Enter your email to get this free The Woodlands guide in easy-to-read PDF format. See neighborhoods near top schools, communities with best amenities, and more. 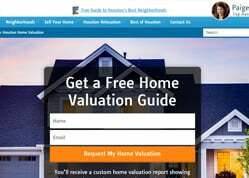 Get a a custom home valuation report showing 10-year sales trends, current sales trends and what’s selling in your neighborhood now. The Woodlands expands into three public school districts: Conroe (CISD), Magnolia (MISD), and Tomball (TISD). The community houses 30 childcare centers and preschools, an Academy of Lifelong Learning for seniors, as well as undergraduate and graduate degree programs at Lone Star College-Montgomery, Lone Star College-University Center, and Sam Houston State University. These institutions are available within the comforts of The Woodlands. Most schools in The Woodlands made it to our list of Houston’s Best Schools. A 9 or 10 rating (out of 10 possible) from GreatSchools.org. 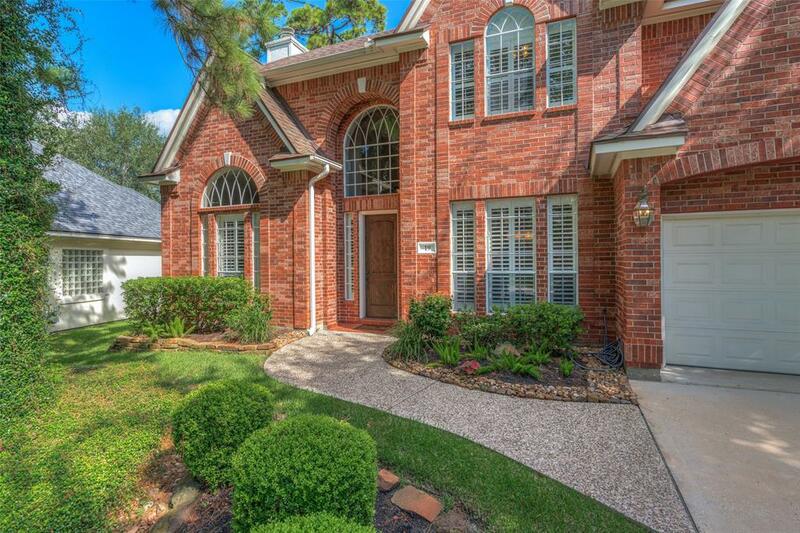 To find an updated listing of all The Woodlands real estate zoned to any specific public school, please send an email to Paige Martin at Paige@HoustonProperties.com. *Note: School zoning tends to change from year to year, information provided above are accurate but not guaranteed. Please double check by visiting the school’s website. Cochran’s Crossing, named after the Cochran family that once managed the Cochran Lumber Company, was the third village to be established in the Woodlands in 1983. 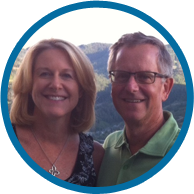 It is located in the heart of The Woodlands right above Panther Creek Village. Just like Indian Springs, Cochran’s Crossing is landlocked by surrounding villages. All schools in Cochran’s Crossing are part of the Conroe Independent School District. Seven are listed as top-ranked The Woodlands schools: Galatas Elementary, Powell Elementary, David Elementary, Mitchell Intermediate, Collins Intermediate, McCullough Junior High, and Woodlands High School. Cochran’s Crossing is home to over twenty parks and great amenities. The most notable recreational areas include the Bear Branch Sports Complex which features a disc golf course, multi-purpose fields, jogging track, a community garden, and a fishing pond. The Bear Branch Park and Recreation Center features nine tennis courts, a pool, a dog-friendly park, a volleyball court, an inline hockey rink, and a skate park. The famous 27-hole Palmer golf course and The Woodlands Country Club are also located in Cochran’s Crossing. Cochran’s Crossing consists of around 5,000 homes built between 1985 and 2001 with prices ranging from $200,000’s to around $2,000,000. The village of Indian Springs was established in 1984. Located on the northern border of Spring Creek, Cochran’s Crossing, like Indian Springs, is surrounded on all sides by other Woodlands villages. It is also the only village in The Woodlands with hilly terrain. Though there are no public schools within the territory of Indian Springs, the village is served by five top-ranked The Woodlands Schools: Galatas Elementary, Coulson Tough Elementary, Mitchell Intermediate School, McCullough Junior High, and The Woodlands Highschool. The renowned John Cooper School, a private college preparatory that boasts of a 100% college matriculation rate and a teacher to student ratio of 11 to 1, is located with the village. The Interfaith Child Development Center, one of the largest preschool/childcare centers in The Woodlands, is also located within the village. Indian Springs boasts of eight parks, each with different community amenities. The Falconwing and Forestgate Park are two of the most locally popular. Both feature public pools, tennis and basketball courts, playgrounds, multi-purpose fields, BBQ pits, and picnic tables, among others. The Indian Springs Shopping Center includes an HEB supermarket, along with a variety of other shops and restaurants. The Sterling Ridge shopping center is also conveniently located within three miles. Indian Springs is smaller compared to other villages in The Woodlands, with only 2,254 single-family homes. 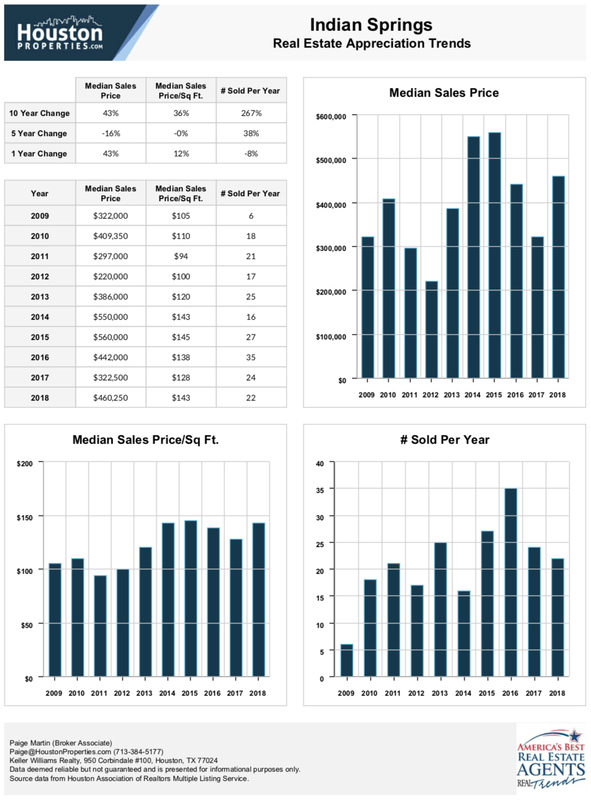 The median year that properties are built are 1996 with prices ranging anywhere between 200’s to the multi-millions. The Village of Alden Bridge is one of The Woodlands’ largest, with 7,000 homes and around 21,000 residents. It is bordered by FM 1488, FM 2978, and the Jones State Forest — a 1,733-acre haven for birdwatchers. 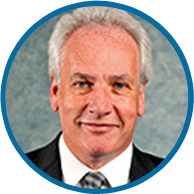 Roger Galatas, the President of the Woodlands Operating Company, established the village in 1994 and named it after his hometown, Alden Bridge, Louisiana. Five of The Woodland’s top-rated schools serve Alden Bridge: Buckalew Elementary, David Elementary, Mitchell Intermediate, Collins Intermediate, and Woodlands Highschool. Buckalew and Mitchell are all located within the premises of Alden Bridge. A number of prestigious private schools, such as The Woodlands Christian Academy and St. Anthony of Padua Catholic School, are also situated within the village. A host of parks, shopping centers, and restaurants make Alden Bridge one of the most sought after villages in The Woodlands. Residents of Alden Bridge enjoy access to twenty parks, each with different amenities. Lakeside Park, Alden Bridge Park, and Windvale Park are among the largest parks in the vicinity with public pools in each location. The Alden Bridge Sports Park, conveniently located on Highway 232 east of Green Bridge Drive, offers practice fields for baseball, softball, soccer, and rugby. Homes are in close proximity to two village shopping centers: Alden Bridge Village Center and Windvale Village Center. These village centers are anchored by a Kroger Signature Store/Walgreens drug store and Randall’s grocery store, respectively. 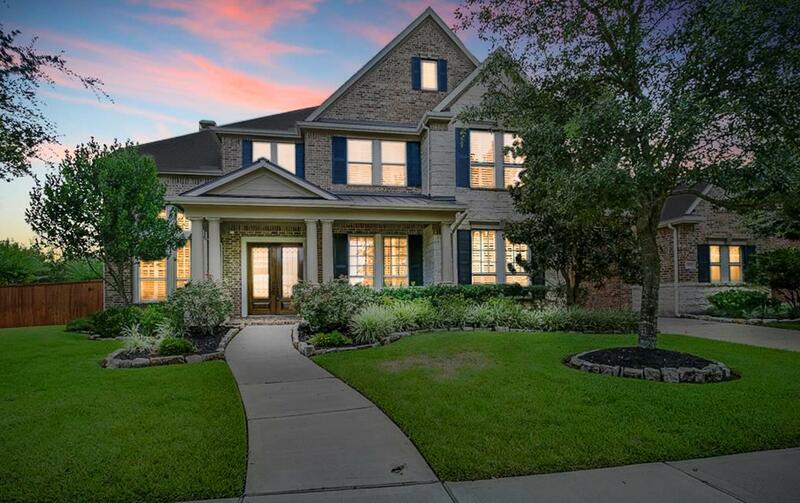 For more data on the other top The Woodlands neighborhoods with good schools for custom list of homes zoned to top rated The Woodlands schools, contact Paige Martin, ranked as the #1 Individual Agent with Keller Williams in the city of Houston. Sterling Ridge, one of the newer residential areas in The Woodlands community, was established in 1999. 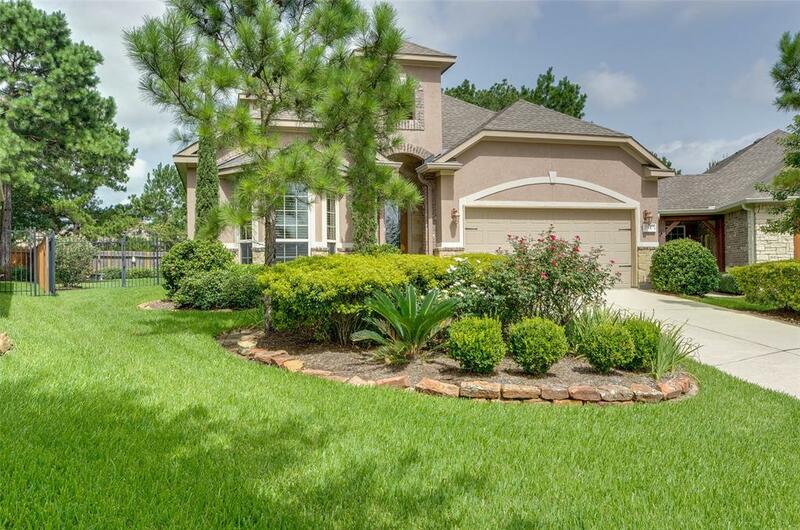 It surrounds the gated community of Carlton Woods on the west area of The Woodlands and features a variety of homes that come in different price points and styles. 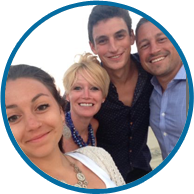 Residents in Sterling Ridge are conveniently located near top-notch community amenities. Sterling Ridge is home to twenty parks, a village shopping center, and more than a dozen various dining establishments. Two renowned golf courses under The Woodlands Country Club are also located within Sterling Ridge: the 18-hole Gary Player Signature Championship Golf Course and the Jack Nicklaus Course. Four notable parks have exciting features: The Cranebrook Park features The Woodlands’s 12th neighborhood pool and the largest public BMX-style all-dirt track in the community; Terramont Park comes with a 9-hole disk golf course and a pet-friendly skate park; Artist Grove Park features a chalkboard area while Craftwood Park features a climbing wall. The Indian Springs shopping center is also conveniently located within 3 miles of Sterling Ridge. Residents in Sterling Ridge can apply for membership at the Club at Carlton Woods for exclusive access to golf courses, health and fitness centers, resort-style pool facilities, day spa, dining, and concierge service. Creekside Park, the only village in The Woodlands within Harris County and served by the Tomball School District, is a 3,492-acre village located just south of Spring Creek. Established in 2007, it is one of the largest new developments in the community. Creekside Park is home to twenty parks replete with various features. The locally popular 20-acre Rob Fleming Aquatic Center, the largest community pool complex in The Woodlands, is located in Creekside Park. It features a lazy river, slides, an interactive aquatic structure, and a three-lane lap pool. Wentwoods Park boasts of a public pool, a multi-purpose field, a basketball court, and two lighted tennis courts. The Rob Fleming Park located at Creekside Forest Drive features an outdoor stage area and a canoe/kayak launching point for those aiming to explore the 72-acre Lake Paloma. The nearly 100-acre Creekside Park Village Shopping Center has an HEB grocery store and office spaces for medical, retail, and recreational uses. Creekside Park has over 5,500 single family homes, 730 multi-family residences, 540 homes for ages 55 and over, and around 300 estate and custom homes. The village plans to reach around 7,100 homes once new developments are completed. The Village of Alden Bridge is one of The Woodland’s largest villages. 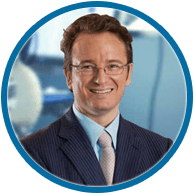 It was established in 1994 by Roger Galatas, then president of The Woodlands Operating Company. There are over 7,000 homes in Alden Bridge, and residents enjoy convenient access to a slew of parks and shopping centers, all with various amenitie overlooks the Bear Branch Reservoir with a skate park, while Windvale Park features a winding joggis. Among the twenty parks in Alden Bridge, three are most notable: Alden Bridge Park, Windvale Park, and Lakeside Park. Each of the aforementioned host public pools and contains various play features for kids. Lakeside Parkng track that surrounds a fish pond and a butterfly garden. The Alden Bridge Sports Park, situated on Highway 242, features sports fields for baseball, rugby, and soccer. North of the village is the Jones State Forest, a 1,733-acre forest that features a picnic area, two small ponds, and parking for horse trailers. Two shopping centers in Alden Bridge house various dining, retail, and recreational businesses: Windvale Village Center and Alden Bridge Village Center. Cochran’s Crossing is a master-planned community conveniently located near a variety of shopping, retail, recreation, and dining options. The village, home to the 27-hole Palmer golf course, country club, and a recreation center, is served by the most number of top-ranking schools in The Woodlands. Cochran’s Crossing is a short drive away from Houston’s main business districts: 40 minutes from Downtown Houston and 50 minutes from Energy Corridor via the I-45. It is also only a 30-minute drive away from the George Bush Intercontinental Airport. 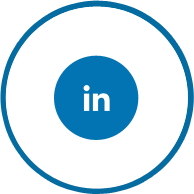 Residents in Cochran’s Crossing can easily access various amenities and businesses within their neighboring communities due to the village’s central location. Within Cochran’s Crossing is the Bear Branch Sports Complex and the Bear Branch Park and Recreation Center with tennis courts, a skate park, a dog-friendly park, a volleyball court, and an inline hockey rink. Residents don’t need to venture very far for shopping options as the village hosts its own village center which features a Kroger Signature store, CVS Drug Store, restaurants, banks, shops, and personal offices. The Village of Grogan’s Mill is one of the most accessible in The Woodlands. It has many access points to Interstate 45 with close proximity to many of the community’s amenities and attractions. Dubbed as the “Gateway to the Woodlands”, Grogan’s Mill is just a few minutes away from the Hardy Toll Road, a 30-minute drive from Downtown Houston, and a 25-minute drive from the George Bush Intercontinental Airport. Grogan’s Mill is the first village to be established in The Woodlands in 1974. It is flanked by the Woodlands Town Center to the north, Spring to the south, Panther Creek Village to the west, and the Interstate 45 to the east. The village, which is home to the Woodlands Resort and Conference Center, contains twelve parks with a slew of different amenities. 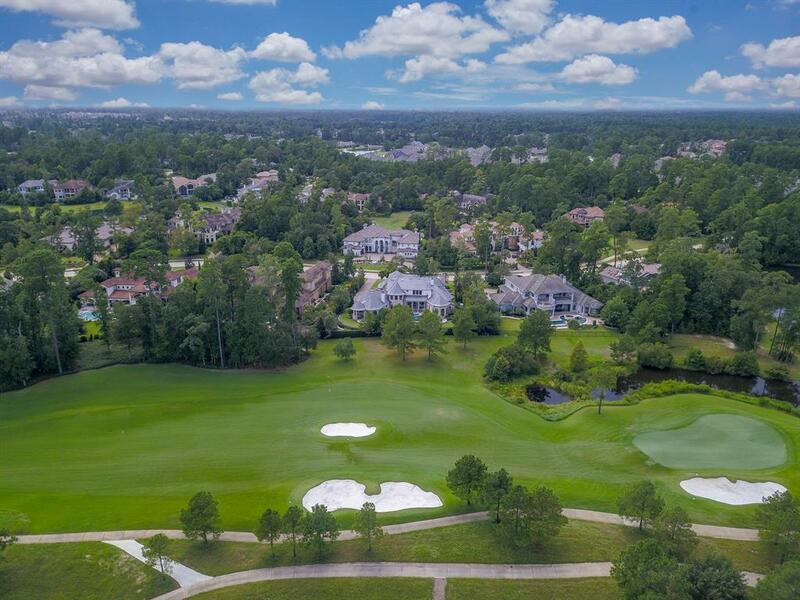 Two of the community’s premier golf courses, The Oaks and the Tournament Course, are also located within Grogan’s Mill, making it one of the best golf course communities in The Woodlands. Grogan’s mill has its own village shopping center anchored by Randall’s Supermarket with a variety of eateries, shops, and a bank. The Village of Sterling Ridge, located 5 ½ miles west of Interstate 45, is conveniently located next to FM 1488 and FM 2978. Sterling Ridge is home to Carlton Woods, one of The Woodland’s premier gated communities. Like most villages in The Woodlands, residents of Sterling Ridge are conveniently located near top-notch community amenities. There are twenty parks in Sterling Ridge, a village shopping center anchored by a Kroger Signature grocery store, and two renowned golf courses under the Woodlands Country Club (the 18-hole Gary Player Signature Championship Golf Course and the Jack Nicklaus Course). Cranebrook Park is home to the largest public BMX-style all dirt track in The Woodlands, while Terramont Park features a 9-hole disk golf course and a pet-friendly skate park. The Indian Springs shopping center is also located within 3 miles of the village. A membership at the Club at Carlton Woods offers exclusive access to health and fitness centers, premier golf courses, pool facilities, dining options, concierge service, and a day spa. Indian Springs’ proximity to top schools and its slew of great amenities allow it to post continually strong appreciation rates. 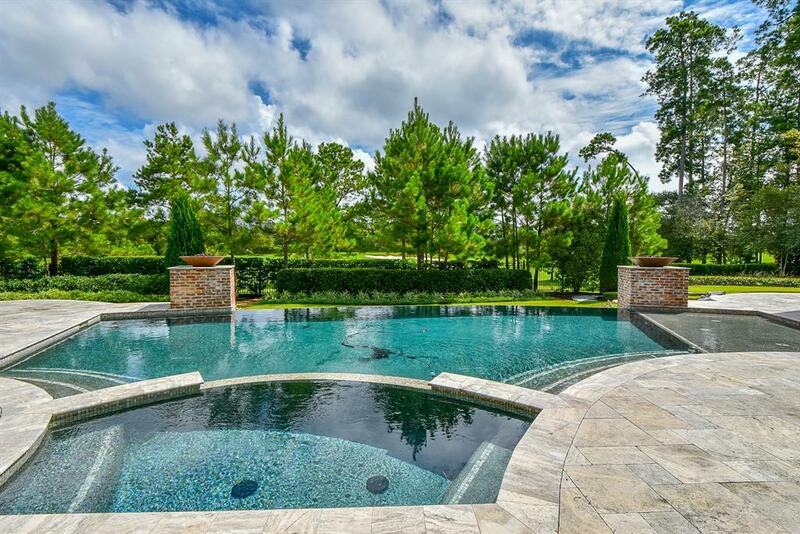 Popular for its secluded feel and custom-built homes, it is one of the most expensive neighborhoods in The Woodlands. 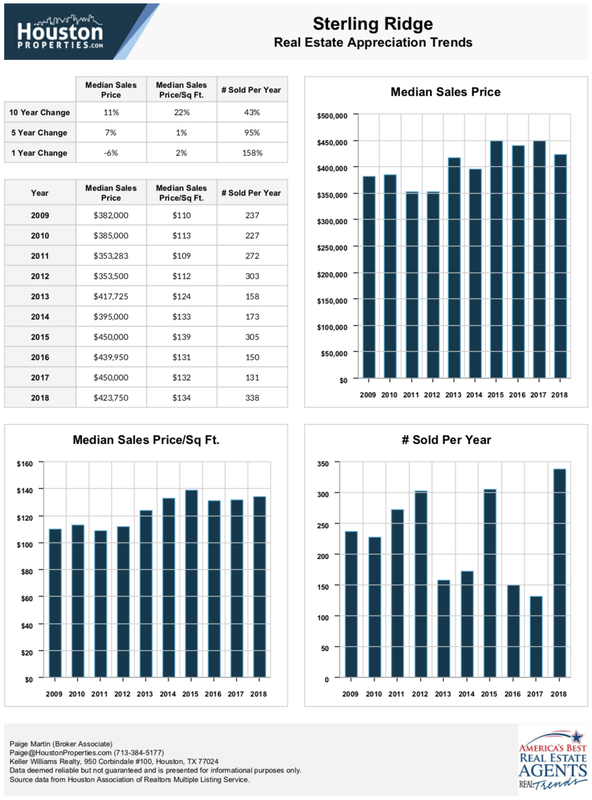 Median sales prices spiked 43% from 2017 to 2018, bringing the total median sales price to $460,250. Panther Creek is the second village to be established in The Woodlands. It is home to the expansive Lake Woodlands and is replete with parks featuring a wealth of amenities. It also houses some of The Woodland’s most coveted neighborhoods, including the West Isle, The Cove, Splitrock, and Windward Cove. 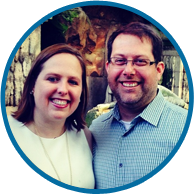 Panther Creek has experienced a 51% increase in appreciation rates over the last five years. Cochran’s Crossing’s proximity to top schools, great accessibility (a 40-minute drive away from Downtown Houston via the I-45 and a 30-minute drive away from the George Bush Intercontinental Airport), and great amenities (the famous 27-hole Palmer Golf Course is located within the village) contribute to its continually high appreciation rates. This master-planned community experienced a 29% increase in appreciation rates over the last five years. Sterling Ridge’s great accessibility (it is located next to FM 1488 and FM 2978, and is just 5 ½ miles west of Interstate 45) and a wealth of luxurious amenities contribute to its high appreciate rate. The village houses the premier gated community of Carlton Woods and is home to two of The Woodlands’ championship golf courses: the 18-hole Gary Player Signature Championship Golf Course and the Jack Nicklaus Course. Indian Springs is a landlocked village in The Woodlands with houses sporting diverse styles and time periods. Most homes sit on quarter-acre lots with three bathrooms and four bedrooms. Smaller than other The Woodland’s villages, there are over 2,254 single-family homes in the Indian Springs. The median year that properties are built are 1996, with prices ranging anywhere between 200,000’s to the multi-millions. Cochran’s Crossing consists of around 5,000 homes built between 1985 and 2001 with prices ranging from $200’s to around $2,000,000. It is the home of the Bear Branch Sports Field, The Woodlands High School, Palmer Golf Course, The Woodlands Country Club & YMCA. The Palmer Club features luxury homes with upscale amenities. Creekside Park is one of the newest developments in The Woodlands. Once completed, the village will expand to over 3,492 acres with 7,100 residences. Creekside Park is slated to contain around 5,500 single family homes, 700 multi-family residences, and 500 homes for ages 55 and over. Creekside Park, bordered by Indian Springs to the north, is a master-planned village located south of The Woodlands. It is located 30 miles north of Downtown Houston, with convenient access to the Grand Parkway (99) and I-45. The village was established in 2007 and is one of the newest and largest village developments in the community. The new Creekside Park The Residences, a multi-family development located within Creekside Park Village Center, was completed mid-2018. It is a 292-unit complex boasting of Craftsman-style architecture, with one to three bedroom residences and sizes ranging from 600 to around 1,400 square feet. Residents have access to upscale amenities that include a resort-style pool with outdoor kitchen and grilling areas, a 24/7 fitness facility, and a one-story clubhouse among others. A variety of retail developments will be constructed in the area, with one project aiming to bring The Woodland’s first dine-in theater. A variety of homes are already available in various sections in Creekside Park, with prices starting from the upper 200’s to around one million. East Shore, located east of Lake Woodlands near The Woodlands Mall, Waterway, Cynthia Woods Mitchell Pavilion, and Market Street, is a new development in The Woodlands. It is a gated community situated on a 169-acre land that is slated to contain green spaces and garden parks. Waterway Landing, East Shore’s newest development, is a 5.4 acre gated townhouse luxury community adjacent to the East Shore Clubhouse. It features 59 upscale townhomes with prices ranging from $800,000 to more than $1 million. Plans range from 2,891 square feet to 4,529 square feet, with community features that include gated access, brick drives and streets, gas lights, and exclusive access to The Woodlands Waterway. The townhomes, developed by Waterway Builders LLC, are available in 15 various floor plans. May Valley in the village of Sterling Ridge is situated near FM 2978 and the Woodlands Parkway. New homes and recreational areas are currently being developed, with Phase II of the build out starting last May 2017. This 400-acre village is currently being developed by three builders: Beazer Homes, Chesmar Homes, and Westin Homes. Beazer Homes has already opened a model home in the Centennial Ridge subdivision, where two-story attached homes starting from $250,000 and sizes ranging from 1,877 to 2,180 are currently being built. The same developer is also working on one and two-story single-family homes in the subdivision of Springtime Creek, with sizes ranging from 1,725 to 2,707 square feet priced at the $200’s. In the same subdivision, Chesmar Homes is currently building residences ranging from 1,586 to 2,640 square feet, with prices starting at $260,000. Westin Homes is offering 10 homes with sizes ranging from 2,916 to 4,043 square feet, with prices starting from $370,000. May Valley is served by the Magnolia ISD boasts of amenities that include basketball courts, tennis courts, and an outdoor pavilion. Planned to house over 6,200 homes and more than 750 acres of parks, lakes, and natural open spaces, Elyson will also have on-site schools, fruit orchards, and 30 miles of trails that connect the neighborhoods. Home prices at Elyson start at $350,000. New developments are underway in The Woodland’s village of Grogan’s Mill. Grogan’s Crest, the newest gated community in the village, is offering a variety of patio homes priced between the $ 340s to $ 490s. Developed by Conner Davis Homes, the community offers homes ranging from 2,022 to around 3,000 square feet. 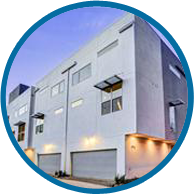 Features include 2 to 3 story layouts, energy efficient materials, AMX home automation, voice-activated systems, and in-law suites. Residents enjoy access to the community pool and proximity to the Hardy Toll Road and the I-45. Honeycomb Ridge is another luxury master-planned location under development in Grogan’s Mill. The subdivision features 19 low-maintenance home sites all built with innovative architectural design. 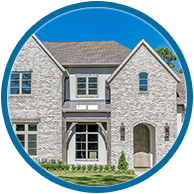 Custom home builder First Stone Homes is in charge of the development. New homes start in the low 1 million. Most areas in The Woodlands are located away from floodplains and experience no flooding, but some villages, especially those situated along Spring Creek and Panther Branch, have flooded during Hurricane Harvey. In Creekside Park, previous builders who planned poorly have constructed homes with inadequate elevations over a 500-year flood plain, causing around 100 homes in the Timarron and Timarron Lakes subdivisions to be inundated by Hurricane Harvey. Some areas situated near creeks in the villages of Cochran’s Crossing and Indian Springs are also vulnerable to flooding. 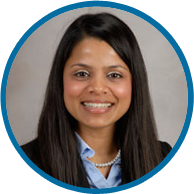 The Woodlands Township board has established an active task force to tackle drainage issues and avoid further flooding. Following Hurricane Harvey, the board has coordinated with state and national leaders to assist in flood mitigation. 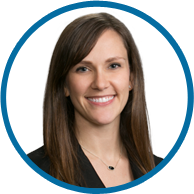 If you’re looking at specific homes or buildings and want to confirm if the property is in a flood zone, please email the Houston Properties Team. 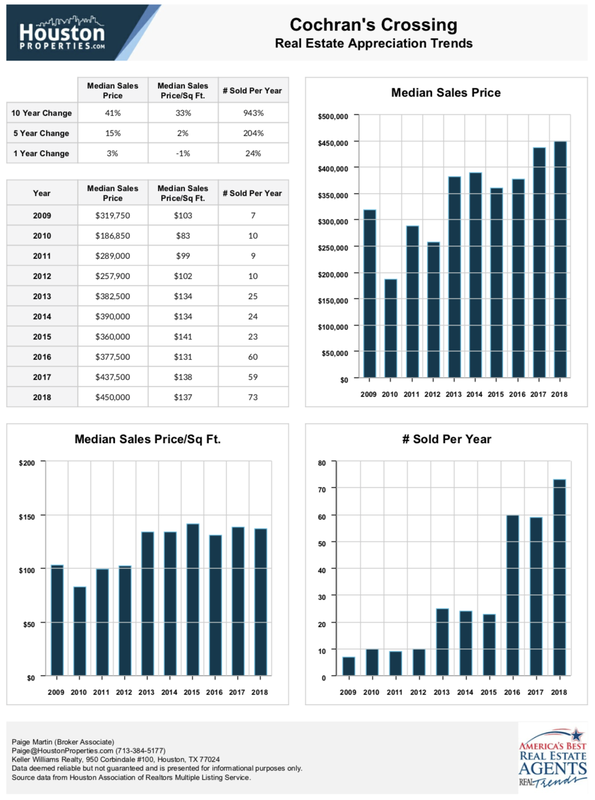 Land value was calculated by looking at the median sold price per square foot of Lots and Single family homes sold at lot value. 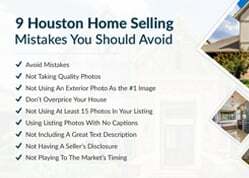 Data is provided by the Houston Association of Realtors, multiple listing service. Distance and commute times approximated via GoogleMaps. Data deemed reliable, but is not guaranteed and should be independently verified.